London is the capital of Rock’n’Roll! Musicians who spearheaded music in their distinctive styles were – The Beatles, Jimi Hendrix, The Rolling Stones, Marc Bolan, David Bowie, The Kinks, The Who. There were many other famous 60’s,70’s artists making contributions over the years. 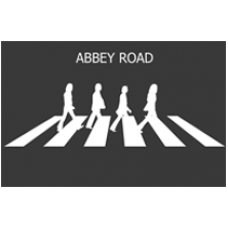 There are many picture opportunities – One of the most famous zebra crossings in the world at Abbey Road immortalising the Fab four where Paul McCartney was not wearing shoes when their iconic photo was captured. 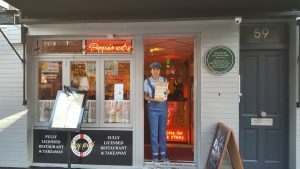 We take a stop to visit the Beatles memorabilia shop with great collections of Beatles albums and other merchandise goodies. Did you know? Musician George Michael had his picture taken walking over this crossing. George paid £1.67 Million for the piano on which John Lennon composed and wrote the song “Imagine”. Chas Chandler a fantastic musician from the well know group the Animals, saw a young guitarist and was blown away with his ability. He asked him to come to England becoming his manager, and that guitarist was Jimi Hendrix. On our musical journey we include Keith Moon and Mama Cass whose early deaths were in common, they died at different times at the same address. There are many stories like this and many more will be revealed on this tour. If you remember the 60’s and 70’s music this is the ultimate tour for you to take. Our Rock’n’Roll adventure is possibly the best a private tour of its kind, recommended, and should not be missed! Tours depart daily at 10.30am, 2pm with evening tours at 7.30pm. Our cabguide will collect you from your central London hotel or meeting place and also drop you back at the end of the tour or another central London location if required. Please allow 5 hours duration for this tour. The 2i’s Coffee Bar was a Coffeehouse on Old Compton Street in Soho, London, that was open from 1956 to 1970. It was the birthplace of “Rock and Roll”.